How did scientists determine our location within the Milky Way galaxy--in other words, how do we know that our solar system is in the arm of a spiral galaxy, far from the galaxy's center? "There is no short answer to this question, because astronomers have followed many lines of evidence to determine the location of the solar system in the Milky Way. But some of the general techniques can be outlined briefly. "Finding one's location in a cloud of a hundred billion stars--when one can't travel beyond one's own planet--is like trying to map out the shape of a forest while tied to one of the trees. One gets a rough idea of the shape of the Milky Way galaxy by just looking around--a ragged, hazy band of light circles the sky. It is about 15 degrees wide, and stars are concentrated fairly evenly along the strip. That observation indicates that our Milky Way Galaxy is a flattened disk of stars, with us located somewhere near the plane of the disk. Were it not a flattened disk, it would look different. For instance, if it were a sphere of stars, we would see its glow all over the sky, not just in a narrow band. And if we were above or below the disk plane by a substantial amount, we would not see it split the sky in half--the glow of the Milky Way would be brighter on one side of the sky than on the other. "The position of the sun in the Milky Way can be further pinned down by measuring the distance to all the stars we can see. In the late 18th century, astronomer William Herschel tried to do this, concluding that the earth was in the center of a 'grindstone'-shaped cloud of stars. But Herschel was not aware of the presence of small particles of interstellar dust, which obscure the light from the most distant stars in the Milky Way. We appeared to be in the center of the cloud because we could see no further in all directions. To a person tied to a tree in a foggy forest, it looks like the forest stretches equally away in all directions, wherever one is. "A major breakthrough in moving the earth from the center of the galaxy to a point about 3/5 away from the edge came in the early decades of this century, when Harlow Shapley measured the distance to the large clusters of stars called globular clusters. He found they were distributed in a spherical distribution about 100,000 light-years in diameter, centered on a location in the constellation Sagittarius. Shapley concluded (and other astronomers have since verified) that the center of the distribution of globular clusters is the center of the Milky Way as well, so our galaxy looks like a flat disk of stars embedded in a spherical cloud, or 'halo,' of globular clusters. "In the past 75 years, astronomers have refined this picture, using a variety of techniques of radio, optical, infrared and even x-ray astronomy, to fill in the details: the location of spiral arms, clouds of gas and dust, concentrations of moleculesand so on. The essential modern picture is that our solar system is located on the inner edge of a spiral arm, about 25,000 light-years from the center of the galaxy, which is in the direction of the constellation of Sagittarius. "For details on how we know all this, there are, fortunately, two excellent and complementary books: The Discovery of Our Galaxy, by Charles A. Whitney (Knopf, 1971), and The Alchemy of the Heavens: Searching for Meaning in the Milky Way , by Ken Croswell (Anchor Books, 1995). You must log in or register as a ScientificAmerican.com member to submit a comment. Get weekly coverage delivered to your inbox. #SciAmBlogs Tuesday - Archimedes, shrimp swimming through liquid CO2, Wobbegon plesiosaur and more.. YES! 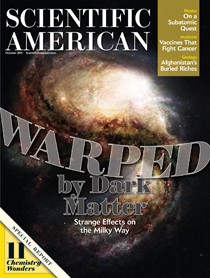 Send me a free issue of Scientific American with no obligation to continue the subscription. If I like it, I will be billed for the one-year subscription. 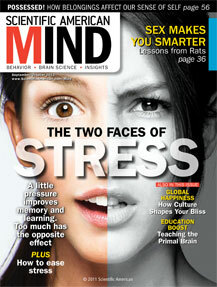 © 2011 Scientific American, a Division of Nature America, Inc. All Rights Reserved. RT @SciAm How did scientists determine our location within the Milky Way galaxy--in other words, how do we know that our solar system is in the arm of a spiral galaxy, far from the galaxy's center?